Now that I have your attention….. 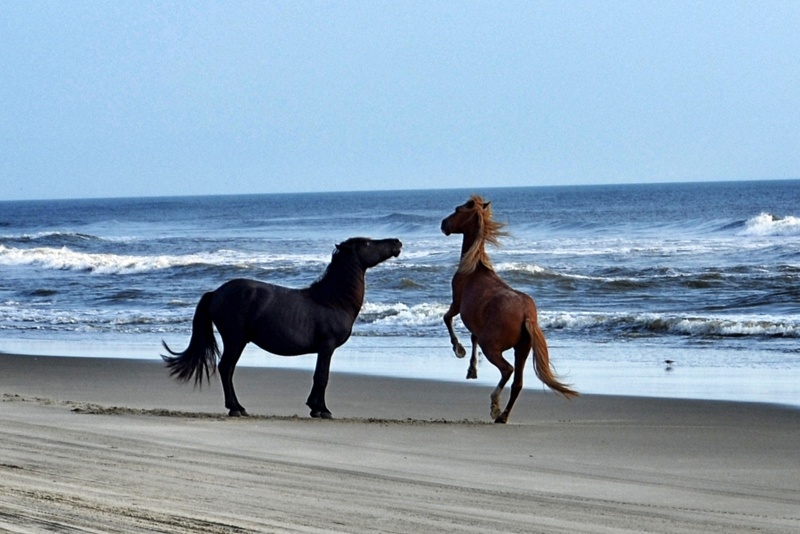 If you were following my blog last summer, you may recall that, for the first time, I entered the Corolla Wild Horse Fund Calendar Photo Contest. I was over-the-moon-thrilled that one of my photos was chosen to be included in the 2015 calendar. The deadline to enter the contest for the 2016 calendar is August 31, so this weekend, I sent in my entries for this year. 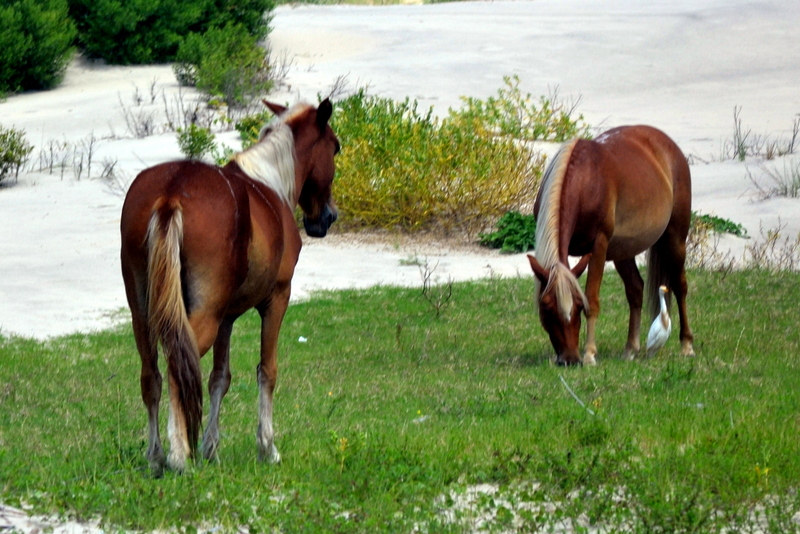 And, once again, I’m having a little blog giveaway relating to the Corolla Wild Horses. Today, I’m going to share with you the three photos I submitted, and ask you to comment on which one you think MIGHT be selected by the judges. This one is “Horse and Surf”. It was taken very early one Sunday morning when Motor Man and I were among very few humans on the beach. It was such a peaceful time; my favorite time of day to see the horses. Next, “2 Stallions”. 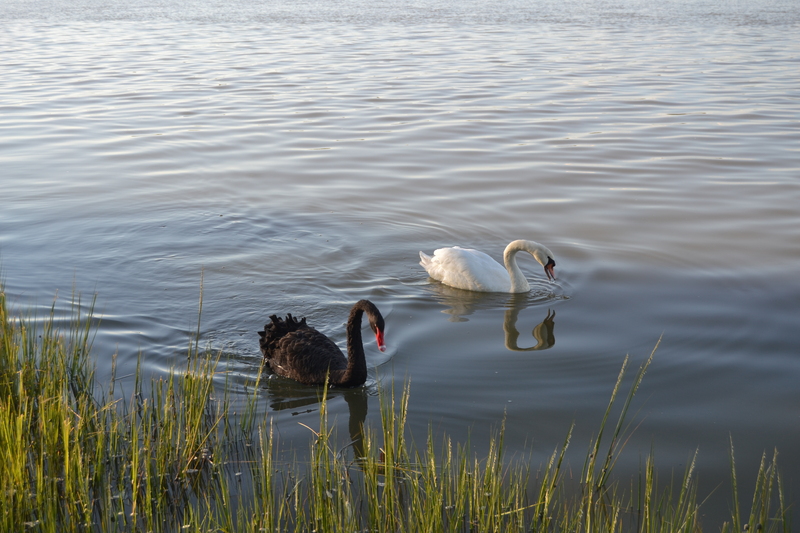 This was also taken early one morning. And last, but not least, this one is “Horses in Grass”. All the Corolla horses are beautiful, but the ones with the “blonde” manes always remind me of surfer boys. Please leave a comment on this post, saying which photo you think MIGHT stand a chance. Once the judge’s choices are announced, IF one of my photos is selected, I’ll choose a winner from the readers who chose that picture. If none of my pictures makes it into the 2016 calendar, I’ll just choose a winner at random. 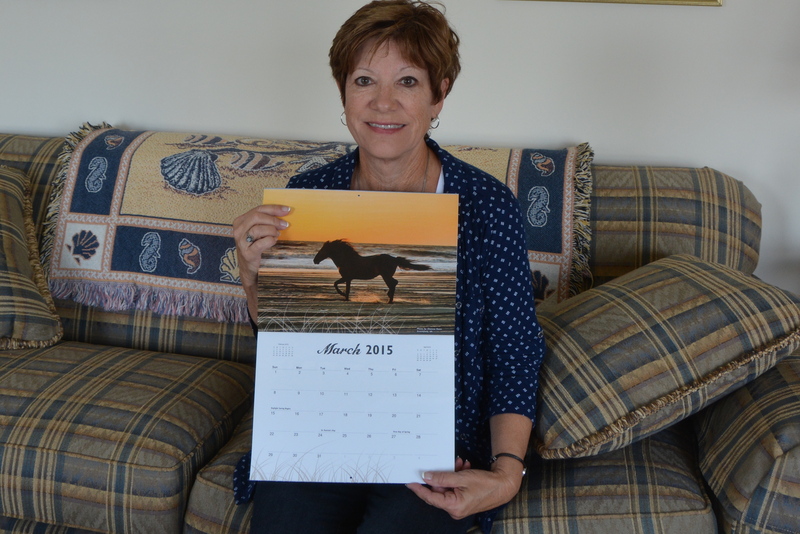 Part of the prize package will be the 2015 Corolla Wild Horse Calendar, and I’ll add in some other goodies. Disclaimer: the photos are given a random code when received for judging, and the judges have no information about the photographer. The judges for this contest were listed on the entry form, and I don’t know either of them, and doubt seriously if they’ve ever heard of me or this blog. 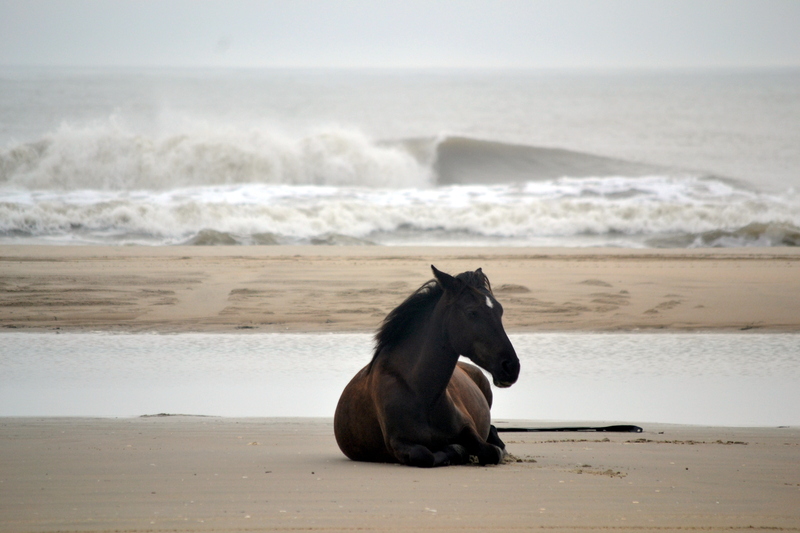 Back in May, I wrote about the photo contest for the 2015 Corolla Wild Horse Fund calendar. I asked my readers to leave a comment, choosing from the photos I submitted which one they thought might be selected for the calendar. I’m pleased to announce that the judges did deem one of my photos calendar-worthy! Watch for an announcement soon, letting you know which photo was chosen and the winner of MY contest. This Friday will be the third anniversary of These Days Of Mine (my blogaversary, as they say). Perhaps we’ll have a little celebration. My posts may be sporadic this week, so don’t be alarmed if I miss a day or two. I’ll be back soon.